Having received a RIDDOR (Reporting of Injuries, Diseases and Dangerous Occurrences Regulations) report, Thanet District Council’s Public Protection Team investigated an incident at the North Foreland Golf Club in which a man was injured at work and suffered burns from an explosion. A decision was made to bring two sets of charges against Kingsgate Golf Club Limited. The first – under the Health and Safety at Work Act 1974 – was for failing to ensure, so far as reasonably practicable, the health, safety and welfare at work of employees. The second was under the Control of Substances Hazardous to Health Regulations 2002, for failing to provide details of substances hazardous to health, to which an employee was liable to be exposed. On Friday 23 November 2018, in a trial at Margate Magistrates’ Court, Kingsgate Golf Club Ltd pleaded guilty to both charges. They were ordered to pay a total of of £10,873.21. This includes a fine of £3,300, £7,373.21 costs and a £170 victim surcharge. 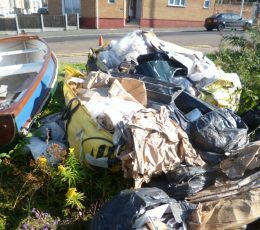 Thanet District Council’s Public Protection Team receives approximately 100 RIDDOR reports each year, as well as investigating about 30 health and safety complaints annually. The officers that form the Public Protection Team are dedicated to ensuring public health and safety in Thanet including food safety and hygiene, and occupational health and safety.